Our full-featured waterproof and breathable ski bib for women, the Environ Bib provides the ultimate all-mountain combination of protection, durability and functional style. Built for deep snow, steep lines and the ladies who love them, the Environ Bib is our fully featured waterproof ski bib that provides premium weather protection on either side of the gate. Our seam-sealed, 3L Dermizax® waterproof shell fabric is super durable for day-in, day-out use, and the Environ’s high-waisted, mini-bib design provides both a flattering fit and ample coverage in the blower conditions you dream about. Side zip vents with YKK® water-resistant zippers let you ditch excess heat and also double as a drop seat. Articulated knees and a gusseted inseam improve freedom of movement on skin tracks and cliff drops, and zip hand pockets and a zip thigh pocket stash your pass, phone and other on-mountain essentials. Our most generous cut. An accommodating silhouette that offers comfort and full freedom of movement. 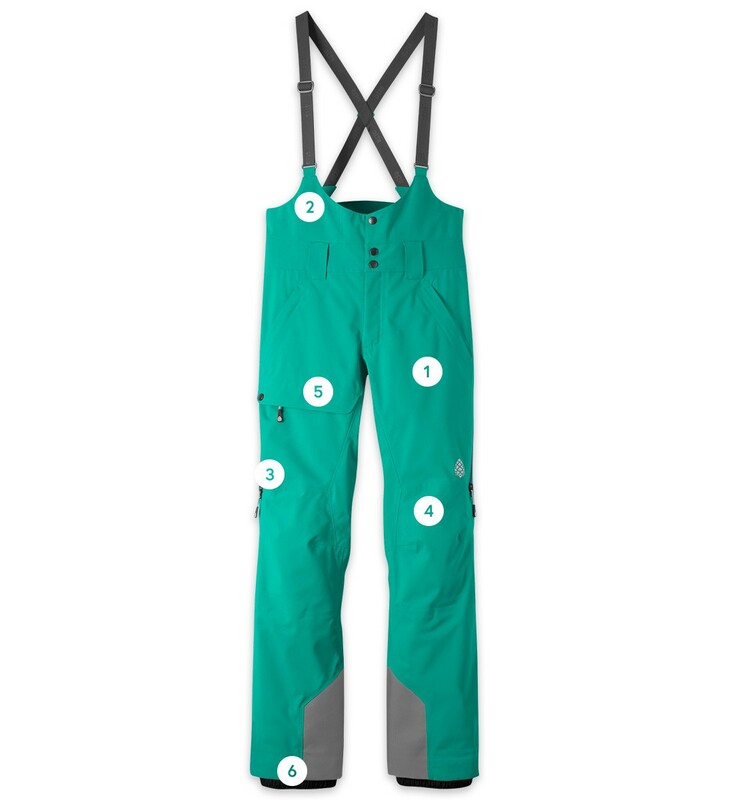 Our full-featured ski bib for deep snow and big lines. "Stio is my favorite brand for women’s ski pants, thanks to an impeccable fit that feels designed by athletic women, for athletic women."